Don continues to investigate the impacts of high deer densities on tree regeneration and understory plant diversity in the Lake States forests. His initial work focused on hemlock (an old-growth dominant in the region), white cedar (an important community type), and Canada yew (a once ubiquitous but now uncommon shrub). He uses the classic tools of demography and experimental exclosures to assess how herb and tree seedling populations respond to local site conditions and regionally variable deer densities. Tim is interested in large mammals: their management, movements, population dynamics, and predator/prey relationships. Tim is especially interested in white-tailed deer in Wisconsin, and his current research includes deer fawn mortality, adult deer survival, deer on the Apostle Islands and wolf population dynamics. Along with his work in Wisconsin, Tim also works on wildlife conservation in China. 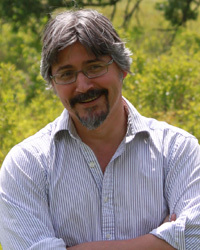 Paul Robbins is the director of the Nelson Institute for Environmental Studies in Madison Wisconsin. He will share some surprising opportunities to conserve landscapes while maintaining livelihoods. Often we think of conservation as a matter of removing people from the landscape, fencing off parks and protecting wild spaces. But does it have to be this way? Can conservation and commerce co-exist? Paul will explore how it is often more productive, both ecologically and economically, to pursue options that allow biodiversity to share the land with working people and economic enterprise. He will draw examples from India where thriving wildlife populations exist amidst commercial agriculture. And he will discuss new and similar models of conservation right here in Wisconsin, such as Working Forest Easements. At the heart of Paul's research is the central question: on a changing planet, what is the future of the economy and the environment? It is sure to be an interesting evening. So come on out, grab a beer and join the conversation. The world is a rapidly changing place. And perhaps nowhere is that more true than in the developing nations of China and Russia. As the economies of these countries grow and evolve, complex changes in land use and land cover are occurring. These changes have direct implications for wildlife, conservation and biodiversity. Join Volker Radeloff, professor of forest and wildlife ecology at UW-Madison, for an evening of stories, science and adventure. Learn how political and socio-economic change is affecting landscapes in some of the world's most remote, most beautiful and most precarious environments. So come on out, grab a beer and join the conversation at the fall kick-off of Science on Tap. ﻿Alex Latzka is a Ph.D. student studying the dynamic interactions between aquatic ecosystems and humans. Alex works in Dr. Jake Vander Zanden's lab at the Center for Limnology, University of Wisconsin-Madison. The majority of his work focuses on aquatic invasive species: How can we best model and manage the spread of invasives by humans? What characteristics of a lake - ecological, anthropogenic, or otherwise - determine the success of introduced populations? He is also interested in other aspects of aquatic systems that are significantly linked with human welfare, including fisheries dynamics and the ecological and economic consequences of different fishing behaviors. Ben Beardmore is a post doc at the Center for Limnology at UW-Madison. He has expertise in conducting social-scientific surveys and modeling human behavior in the context of resource management. He is currently modeling boater movement to better understand aquatic invasive species dispersal. He is also developing protocols for longitudinal surveys of shoreline property owners and lake users in two lake districts in Wisconsin. Loon numbers were once alarmingly low, threatening to leave our lakes without that iconic bird and its iconic call. But, through the hard work of scientists, resource managers and citizen volunteers, loon numbers have increased in northern Wisconsin. Mike Meyer is a Research Scientist with DNR's Bureau of Science Services in Rhinelander. Mike leads several environmental toxicology research projects including implementation of the Wisconsin Wildlife Biosentinel Program designed to evaluate wildlife (bald eagle, osprey, common loon, mink, and otter) contaminant exposure and reproductive health in statewide aquatic systems. 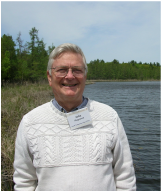 He also has expertise on how changing land-use patterns impact wildlife habitat quality in northern Wisconsin, with an emphasis on lake and riverine habitat. Big changes are underway in our climate, game fish habitat, species invasions and the ways we use Wisconsin lakes. Lakes change slowly, and big fish live a long time, so decisions we make now cast a long shadow into the future. Come hear Steve Carpenter, director of the UW-Madison’s Center for Limnology and fisheries researcher, Gretchen Hansen, as they discuss the future of fishing in the Northwoods. Grab a beer, bring your questions and settle in for another exciting round of “Science on Tap – Minocqua." Steve Carpenter, Director of the Center for Limnology at the University of Wisconsin-Madison. Steve's limnological research focuses on the interaction of biogeochemistry and food web processes in lakes. 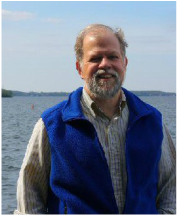 He is especially interested in prediction of lake characteristics from land-water interactions and food web processes, including human effects such as fishing and introduction of exotic species. 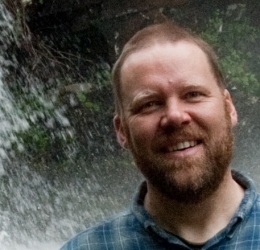 His research on these topics is connected to the LTER, Trophic Cascade, Water, Sustainability and Climate, and Bioeconomics of Aquatic Invasive Species projects. Gretchen Hansen, post doc at the Center for Limnology at the University of Wisconsin - Madison. Gretchen is committed to conducting science that is of use in the real world that is at the same time intellectually innovative and interesting. Her main research interests focus on invasive species, their effects on native ecosystems, and the development of effective management strategies for reducing their ecological and economic impacts. She is also generally interested in designing effective management strategies that meet ecological goals under economic constraints. John is an aquatic ecologist and limnologist with a special interest in fish and fisheries ecology. His training is in fish and wildlife management, zoology, and oceanography. Current interests include: long-term ecological research on lake ecosystems, analyses of long-term lake ice time series, climate change impacts and adaptations, thermal ecology of fishes, landscape and invasion ecology of lakes. 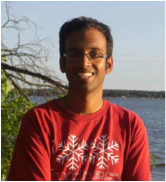 Ankur's lab observes and models micrometeorological, ecological, and biogeochemical interactions of the surface with the atmosphere at regional to global scales, with a focus on anthropogenic influences to these interactions. Adapting to Wisconsin's Changing Climate. Wisconsin Natural Resources magazine or pick up a copy at Minocqua Public Library. The discussion will focus on the Northwoods’ storied history of human impacts – from logging and fishing to development and tourism. People have long been making their mark on this unique ecosystem and Steele and Kratz will share what they know about the last one hundred years of change in Northern Wisconsin and lead a conversation on what the future may hold. Images courtesy of: Roger B. Hammer, Oregon State University and Volker C. Radeloff, University of Wisconsin-Madison.